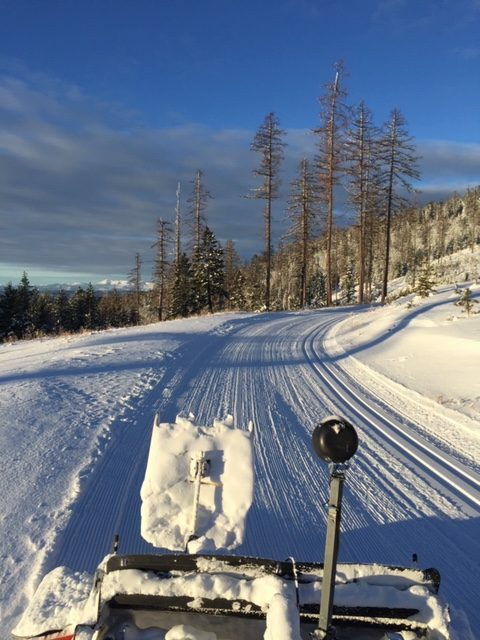 Grooming is progressing nicely up at Blacktail and all 30K of trails should be accessible soon! The 4-5 inches of snow on the Bigfork Community Nordic Center trails were rolled for the first time yesterday, packing out to a 2″ base. We’ll need a few inches more before we venture out again. Check this site for updates. Cheers!